We’re a full service agency, meaning we can handle everything in-house, from branding to development. Our digital capabilities blend seamlessly with our development specialities giving clients the peace of mind that their project will be handled under an umbrella service. With this in mind, iconic British folding bicycle manufacturer Brompton Bicycles came to us requiring a plethora of digital and development requirements; firstly, firmware programming support for their network of docks; secondly, a sister company website to provide an accessible cycle hire scheme for the UK, and thirdly, an app to allow users to access bikes on-the-go. The three projects would work seamlessly together, with the robust backend hardware allowing commuters and travellers to book a bike online or with the app - using a unique code to access one of the secure, branded Brompton docks at over 24 locations nationwide supporting a unique remote user journey, with an automated transaction process. 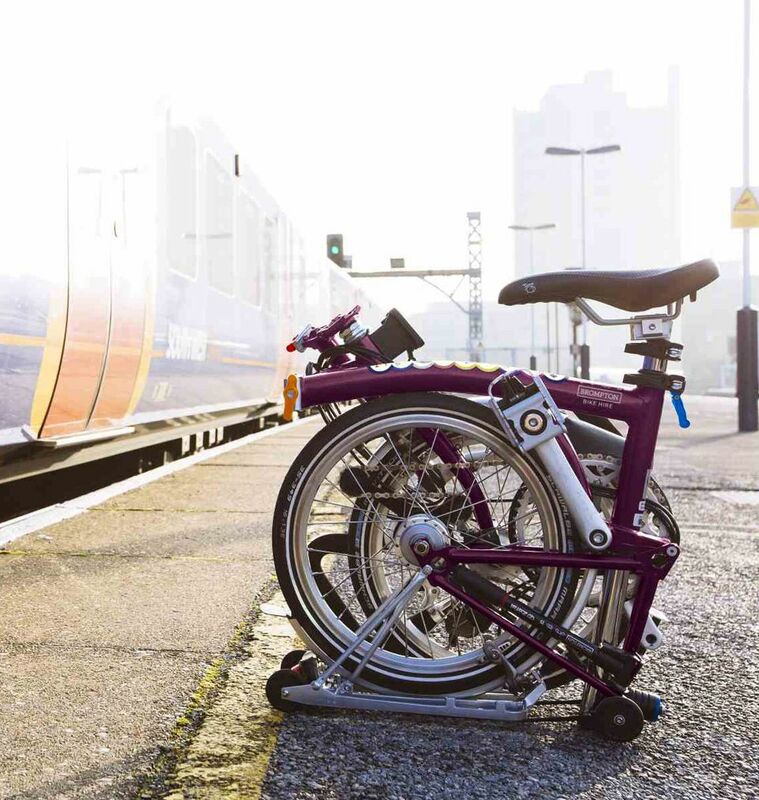 Brompton’s old platform was all based on time delays, so their users had to wait for responses that could last 10 to 30 minutes, which wasn’t at all user friendly. We set about creating completely bespoke system architecture on the Laravel PHP framework, removing all the difficulties with Brompton Bicycles’ existing system software. This led to a new web platform, which allowed for secure communication between the docks and the website to manage bookings, health checks and other customer requirements. The website had to be versatile to tie together all the different components of the hire scheme, from the docks to the mobile app. The real challenge came in the old legacy docks, which were all designed and built with the old 'polling' architecture. To ensure Brompton’s old docks integrated with the new network we produced a system patch, without having to re-configure the legacy hardware, which was a considerable cost-saving method. The patch deployed a new abstraction layer in the dock microcontrollers to allow the core code to remain as it was (as we knew that worked), but to allow real-time manipulation of those through web-accessible APIs. The mobile app was built using PhoneGap, enabling cross-platform deployment and interaction with the website APIs to allow for bookings and booking history. Together, the website and app allow you to reserve a Brompton, which you then pick up from a dock by keying in a unique code that you’re sent. Once you’re finished with the bike, you simply take it back to any docking station, request a new code via the app and stow it in an available dock. To support this multifaceted project, we’re also able to analyse and report on Brompton’s business performance. Brompton’s required a robust reporting system that automated the task of generating their numerous tables and spreadsheets they use to analyse the businesses performance, growth and revenue. By extending the existing website and using the live data, we’re able to replicate the same information that once took days to compile, in a matter of seconds. Our reporting allows Brompton to track the usage of docks by users; monitor how each dock is performing on a month by month basis; monitor membership, such as how many members registered in one month, how many cancelled, and how many didn’t renew their membership - comparing it to previous months; and calculate partner revenue. We were initially approached by Brompton to provide firmware programming support for network of docks. But this quickly led to a new website and app that had to be integrated with the system.